For some strange reason, I really wanted this board game as a kid. It seemed so gross, yet so fun with an extremely simple concept. 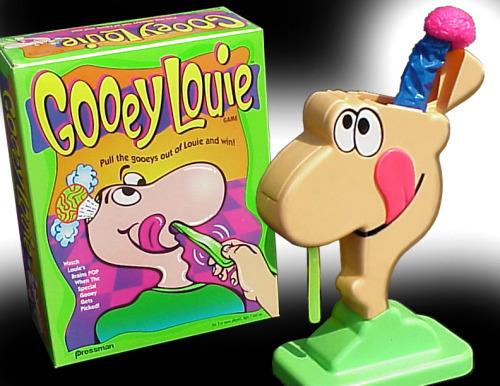 Pull the gooeys out of Louie and win! Watch his brain pop out when the special gooey gets picked! I guess this 90s game of grossness did well, as it’s still in stores today.